Sorry to burst your bubble...but unfortunately I do not know much about Star Wars. 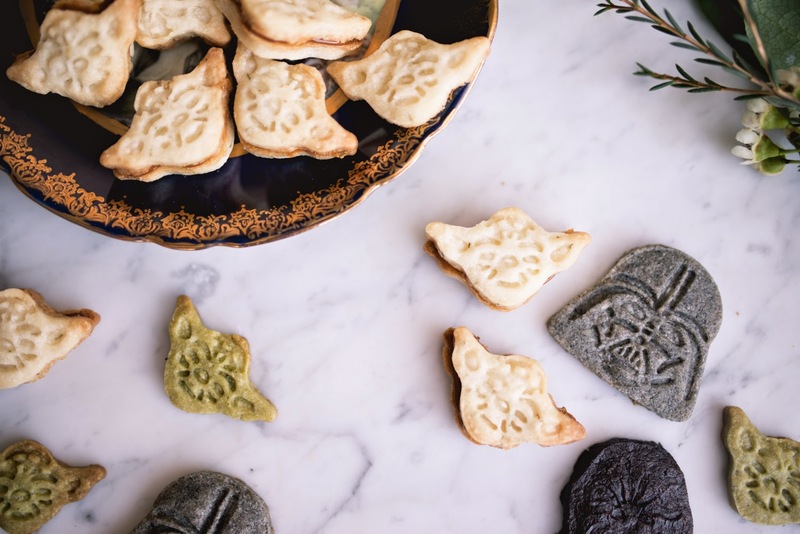 I just knew that I needed these Star Wars cookie cutters when I first saw them online. 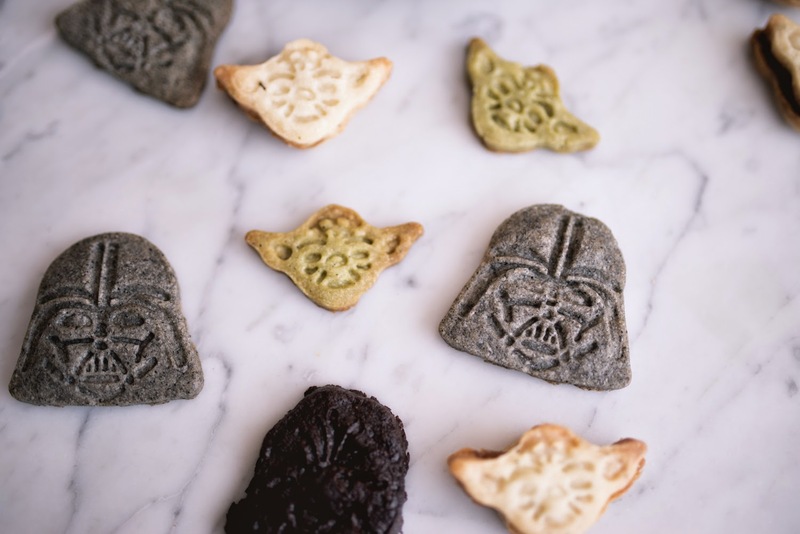 I knew I wanted make the Yoda ones matcha flavoured, the Darth Vader ones would be flavoured and coloured with ground black sesame, chocolate espresso for the Chewbacca, and something simple for C-P3O. I used my trusty shortbread cookie recipe as the base for all these flavoured cookies and played around with the proportions of ingredients that added the flavours and/or colours of each character cookie. Note to self: don't just add additional spoonfuls of ground black sesame without adjusting the proportions of other dry ingredients. The cookie will turn out way too dry. 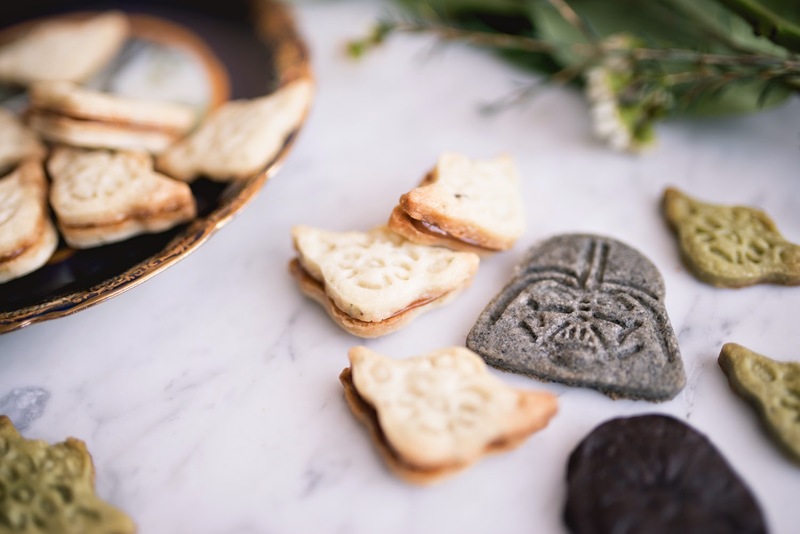 I made these Star Wars cookies for a friend quite a while back and kept some of the leftover dough in freezer. (Yes, you can freeze cookie dough for later use.) I found that shortbread dough freezes really nicely, but dough for cookies that are meant to be softer and chewier does not freeze as nicely. The chewy cookies lose some of that...chewy factor once the dough has been frozen for a while. Remember to keep the dough sealed properly if you do decide to freeze it. Let the dough soften up just a bit at room temperature when you take it out of the freezer so it is easier to work with. Anyways, this post is not about the differently flavoured shortbread cookies (sorry, if you were expecting that). 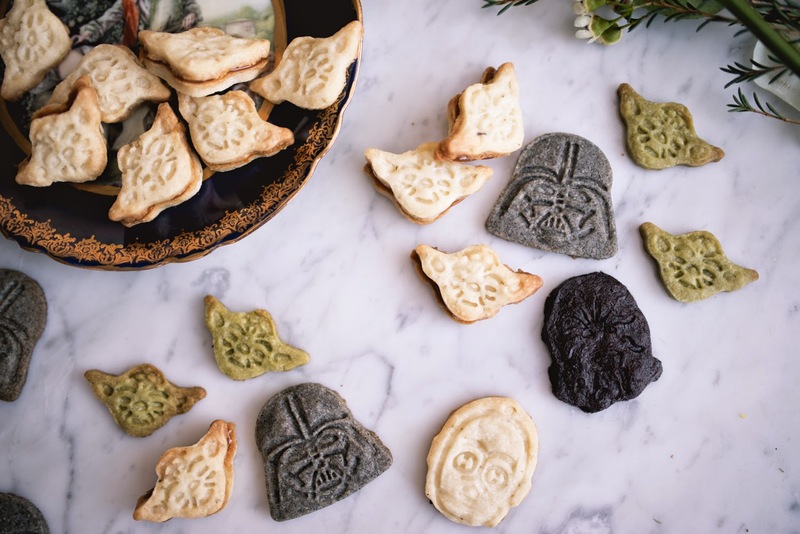 They are Yoda-shaped though just 'cause they are more fun that way. This post is about my favourite shortbread cookie, my go-to, my I'm-not-sure-what-to-give-you-so-I-made-you-a-jar-of-cookies kinda cookie. 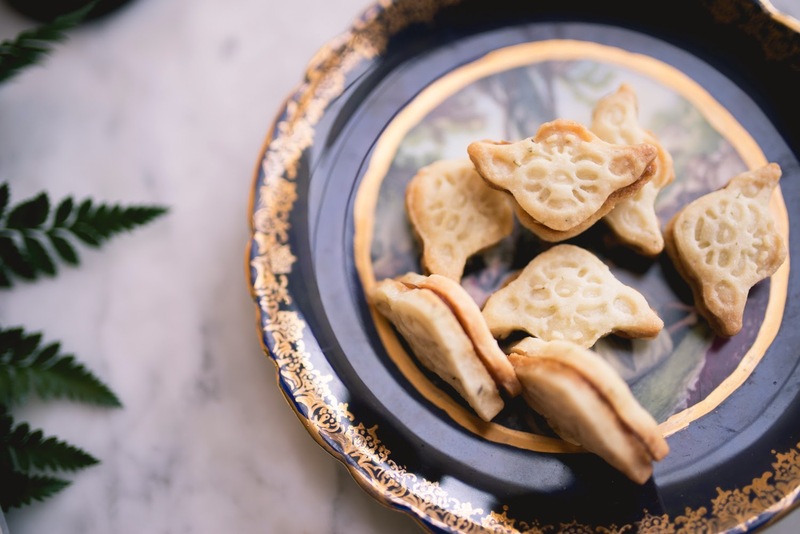 It is a sweet and savoury rosemary shortbread cookie. There is just something about the balance of the sweet, the savoury, and the earthy notes of the ingredients when they are all combined. I like to think of these as a grown-up, mature version of a classic all-butter shortbread cookie. If the classic shortbread cookie was the girl next door, these rosemary ones would be the mysterious new girl in the little black dress that just moved across the hall. The recipe for these rosemary shortbread cookies is probably the recipe that I have used the most. I have made them so many times that I have the recipe memorized. Every time I make these cookies without having to refer to the recipe I have written down, I say to myself, 'If I were on some cooking TV show and the challenge was to make a cookie on the spot, I would be in really good shape!' I have that exact same thought every. single. time. I watch The Food Network way too religiously. These cookies are really good by themselves, sans filling, without the frills and thrills. 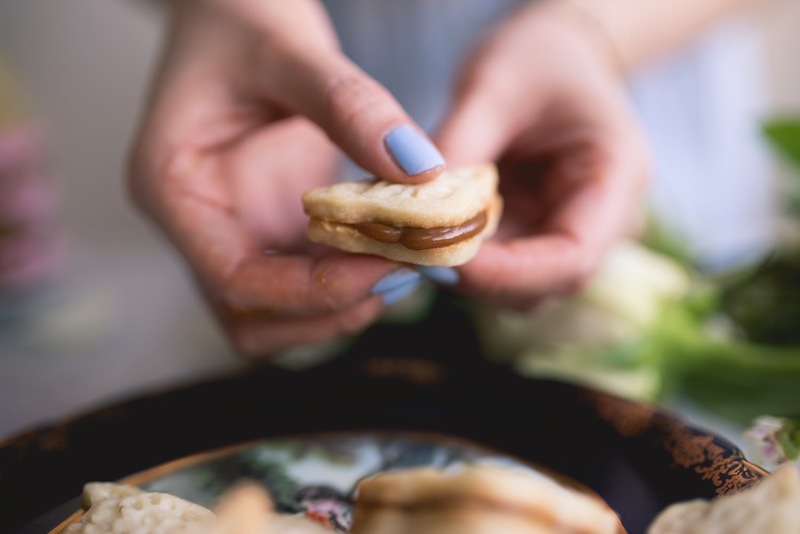 But if you are craving something a little sweeter, or maybe you are just a super big fan of dulce de leche (let's be honest here, who isn't a big fan of dulce de leche), feel free to sandwich some of that heavenly goodness in between two of these bite-sized cookies. Now they are pretty much a salted caramel cookie with a subtle rosemary note. 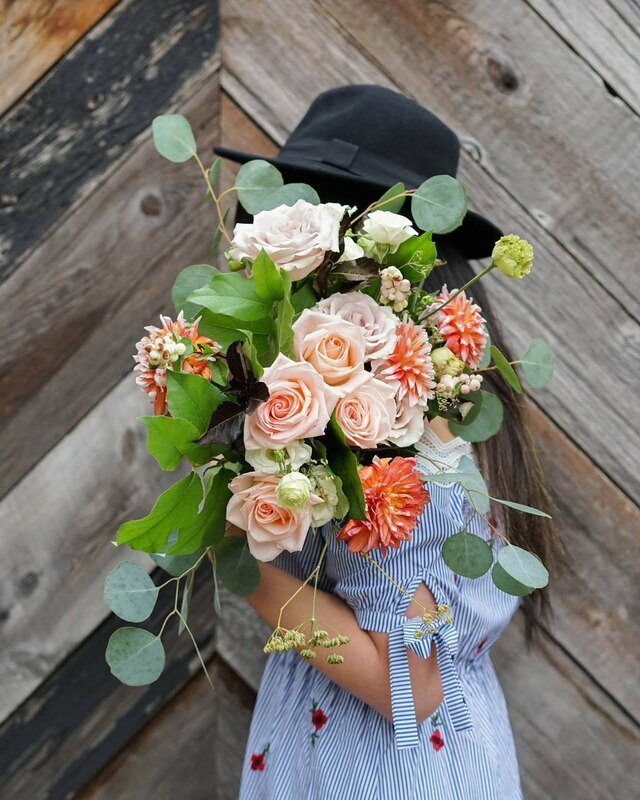 What's not to love? In the bowl of a stand mixer fitted with a paddle attachment, or with a hand mixer in a large mixing bowl, beat the butter on low speed until smooth. Add the sugar, rosemary and salt. Mix on low speed until well combined. Add the flour and mix on low speed until just uniform in texture. Gather the dough into a ball. Transfer to a piece of parchment paper, cover with a second piece of parchment and flatten to form a rectangle about 1/2 inch thick. Wrap tightly and refrigerate for at least 3 hours and up to 5 days. If you are running low on time, just throw it in the freezer for about 30 minutes. When ready to bake, preheat the oven to 350 degrees. Line a baking sheet with parchment paper. 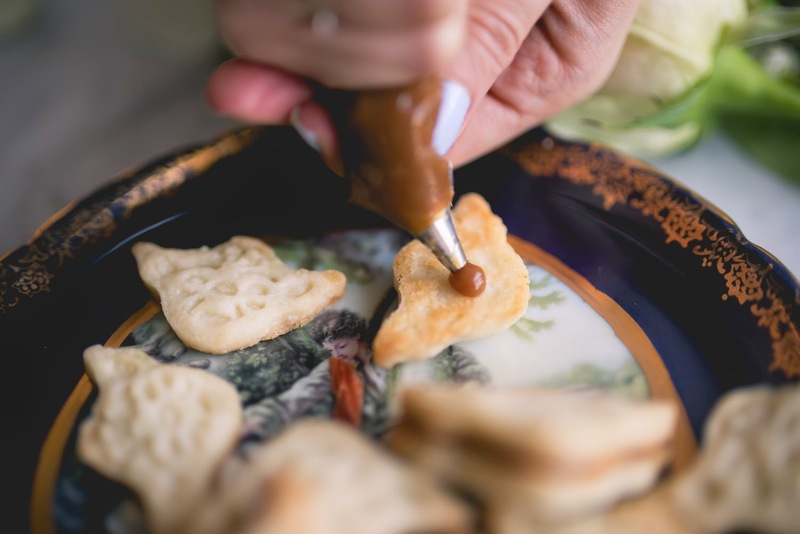 Cut the dough into whatever shapes you like and place them on the lined baking sheet. These won’t spread too much, if at all. Bake until golden around the edges, approximately 14 - 16 minutes. When I am making these cookies without the filling, I like to brush a coat of olive oil on the cookies right when they come out of the oven. 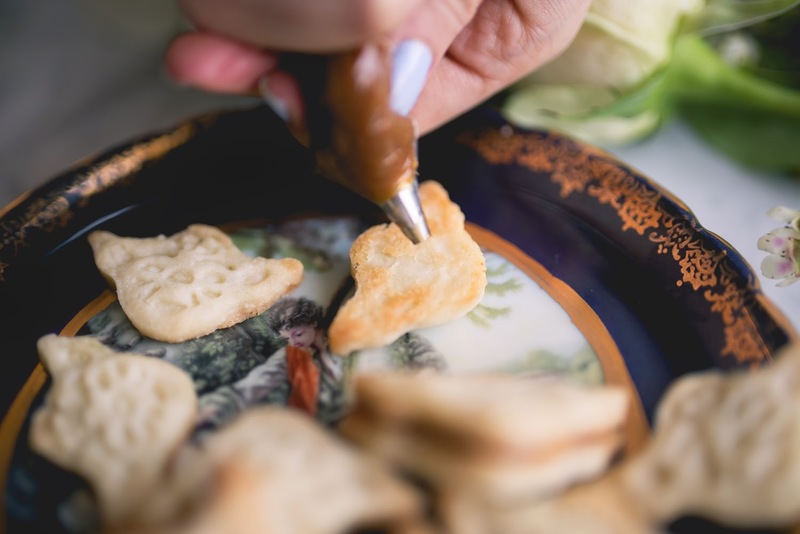 When filling the cookies with something sweet like dulce de leche, you can omit this step. Honestly, with the time and effort (did I mention time?) 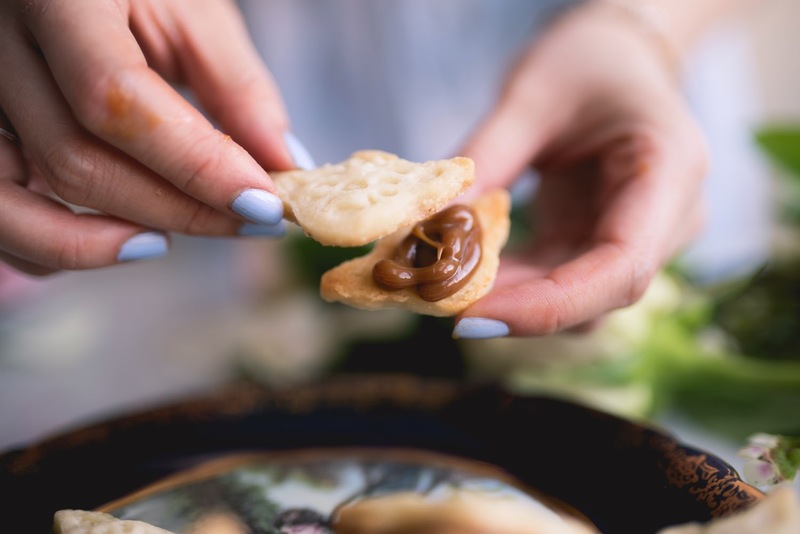 that it takes to make your own dulce de leche, whether you're using a can of condensed milk or making it from scratch, it is much more efficient and practical to buy already-made dulce de leche from the store. But if you do want to make your own, this is the sweetened condensed milk route. Remove the label from the can and place the can on its side in a large pot. Fill the pot with room temperature water and make sure the water level rises at least two inches above the top of the can. It is extremely important that the entire can of condensed milk stays fully submerged in the water during the cooking process. The water level should never get any lower than one inch above the can as it cooks, so make sure to check on the water level every half hour and be ready to add more boiling water as needed. Simmer the can for two to three hours, depending on how dark you want the dulce de leche to be. The only downside of cooking condensed milk in the can is that you cannot really tell how dark the dulce de leche is until you open the can. Always let the can of condensed milk return to room temperature before opening it. Do not open the can while it's still hot, as the hot dulce de leche may squirt out because of the pressure inside the can. Oh yeah, the can will be piping hot. Use tongs. Please. 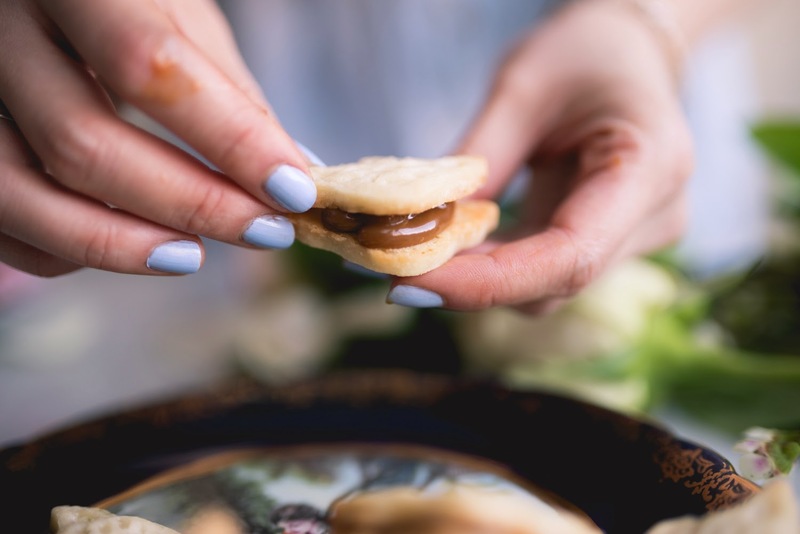 Transfer some of the dulce de leche into a piping bag and used it to fill the cooled cookies. You can simply use a spoon but I used a piping bag to make it a tad bit less messy. You will have some dulce de leche leftover after filling the sandwich cookies. This is not a bad thing. Drizzle it on everything you eat for the next three meals. You can thank me later. 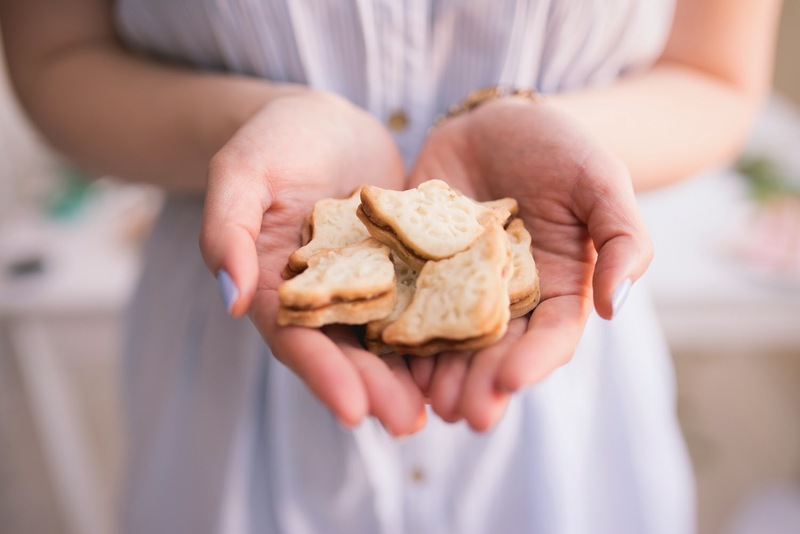 This recipe makes 50 - 60 two-bite individual shortbread cookies or 25 - 30 sandwich cookies. You can easily halve or double the recipe. I would suggest doubling, because these sweet and savoury cookies, even on their own, are extremely addictive. Omg how did I not see this sooner! These cookies are adorable and hilarious. Confession: I haven't even seen all the Star Wars movies but I totally made Stormtrooper macarons recently! الان من خلال افضل الخدمات التي تستطيع ان تحصل عليها من خلال جميع فروع توكيل صيانة يونيون اير تستطيع ان تحصل علي اقوي خدمات الصيانة والتصيلحات وافضل تركيب قطع غيار علي اعلي مستوي ممكن من خلالنا حيث لدينا افضل خدمة صيانة تكييفات يونيون اير في مصر.